Danish pianist-composer-educator Jacob Anderskov (an associate professor at Copenhagen’s acclaimed Rhythmic Music Conservatory) always searches for new means of expressions that challenge his artistic vision. His discography encompasses modern jazz with his own Anderskov Accident, experiments with electronics, compositions for piano, strings trio and percussion, abstractions of Radiohead songs, and collaborations with American Chris Speed, Michael Formanek and Gerald Cleaver and German reeds player Frank Gratkowski. Anderskov’s new albums with the ZAV and KINETICS trios suggest different sides of this remarkable pianist. ZAV stands for three singular Danish free-improvisers from three generations. Z is for alto sax player Jesper Zeuthen, one of the heroes of the Danish jazz scene since the late sixties, known for his collaborations with pianist Carsten Dahl, guitarist Jakob Bro and trumpeter Kasper Tranberg. A is for the generation-younger Anderskov, and V is for the youngest, drummer Anders Vestergaard, known from the power trio Yes Deer and the like-minded Laser Nun duo. The ZAV trio was recorded live during the Copenhagen Jazz Festival at Koncertkirken on July 2017. The free-improvising set of ZAV highlights its strong sense of expressive, quite sensual synergy. 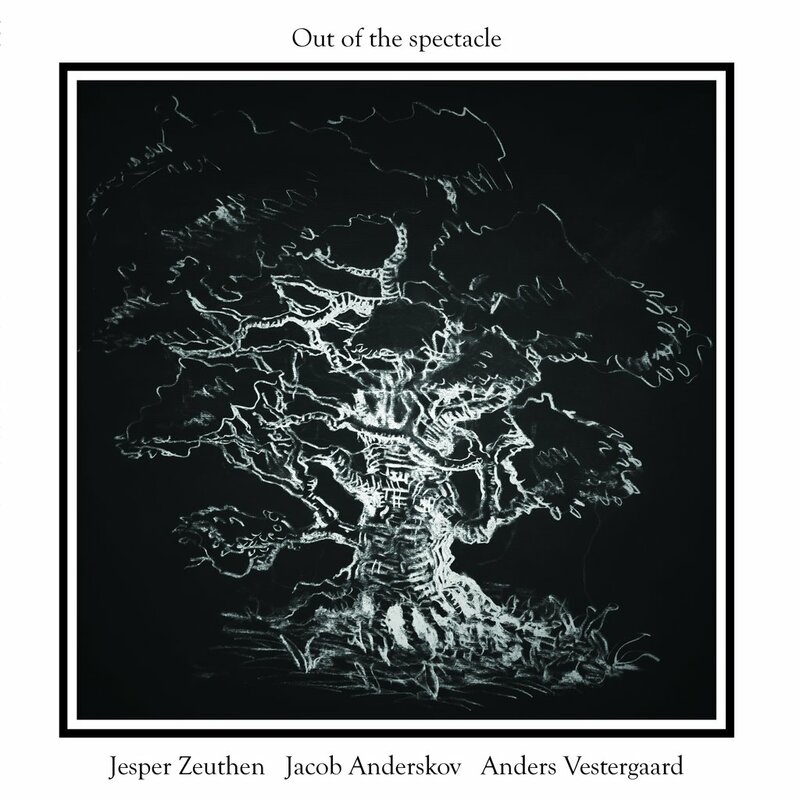 Anderskov and Vestergaard begin the first piece with restless, abstract sonic games with the piano strings and and fractured pulses, but when Zeuthen joins with his clear, emotional singing tone, ZAV dynamics adapts itself to the course suggested by Zeuthen. The interplay remains totally free and leaves enough room for personal detours but the charismatic presence of Zeuthen acts like a powerful magnet. Again and again, with every phrase of him and with a perfect sense of timing, Zeuthen anchors this energetic, risk-seeking comrades trio in a gentle, often ethereal and and always emotional terrains. You may wonder how come you still don’t have many more albums of this great musician in your home. 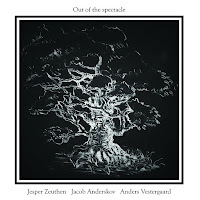 Anderskov and Vestergaard begin the second piece with playful, rhythmic games, soon intensified by Zeuthen who brings the dense and restless interplay of the trio to a climax. The last and longest piece of this spectacular but only 40-minutes long captures ZAV at its best; a trio that not only presents different generations but also strong, opinionated approaches to free-improvisations. These improvisers know how to feed and challenge each other, but are totally attentive to any nuance of their comrades. Anderskov adds the cerebral angle with his complex, multilayered piano solos, Vestergaard insists on an open, fractured patterns and infectious levels of energy and Zeuthen cements the powerful synergy with his kind of Ayler-ian love cries. Close to this piece coda, Anderskov translates one of Zeuthen cries to an exotic, lyrical solo, playing with his piano strings like a Japanese koto. Zeuthen answers with a whispering tone, almost as if adapting a shakuhachi flute vocabulary to his alto sax while Vestergaard colors this brilliant conversation with a ritualistic pulse. The KINETICS trio feature Anderskov on piano, Adam Pultz Melbye on double bass and Vestergaard on drums. The trio released its debut album, Kinetics (The Path) as part of Anderskov’s Habitable Exomusics trilogy (Ilk Music, 2015). Anderskov applied for KINETICS a concept of mechanics - forces on bodies in motion, transforming the bodies-in-motion metaphor to a sonic journey between constant-shifting pulses. The title of KINETICS sophomore album, Mysteries, refers to a spiritual dimension beyond the physical one, “into our interpretations of the forces behind the physical phenomena. It suggests an opening towards realms bigger or more incomprehensible than ours. To phenomena that will exist when we are no more here”. 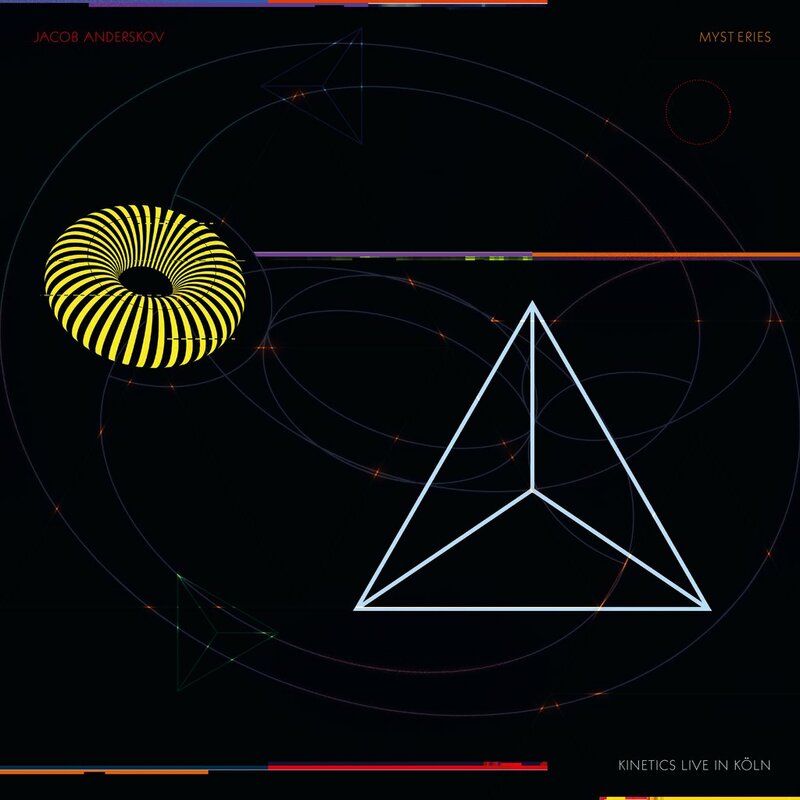 Mysteries was recorded live at The LOFT, Köln on March 2017 at the end of the KINETICS European tour, that began in London where the trio hosted Evan Parker. The KINETICS has developed a different aesthetics of the ZAV trio. 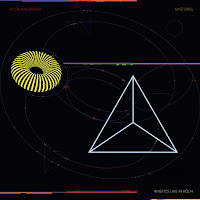 This trio interplay is more structured and disciplined, still, alternating naturally between textures with strict pulses to an abstract, pulse-free improvisations, keeping a delicate balance between the beat and freedom. Anderskov composed all the pieces and he is the obvious leader of the leader, with a perfect control on the trio intense, physical energy, powerful flow and the carefully built momentum. Side A of this vinyl (plus download options) captured the end of the first set of KINETICS, emphasizing the trio telepathic flow between structured forms, muscular energy and abstract expression of touching lyricism. Side B captured the opening of the second set and moves from even looser expressions of chamber jazz on “Pull Up, including a most arresting solo piano at the end of title piece, to a powerful, swinging eruption on “Snap, Pans”, and concluding with the dark and melancholic, chamber “Origami Megalith” .